This sub-emphasis area provides training in evidence-based, dialectical behavioral treatment for adolescents (ages 12-19). Modalities include individual and group therapy. The clinic focuses on teenagers with suicidal and self-harm behaviors, and characteristics associated with Borderline Personality Disorder. Fellows will receive extensive training in outpatient crisis intervention. Additionally, fellows will provide DBT skills coaching to patients on their caseload. Adapting treatment approaches for use with community populations is also a focus of training, as the clinic serves a multi-ethnic patient population. Dr. Avina has previously been involved in NIMH-funded research on the effectiveness of DBT with adolescents, in collaboration with Dr. Michele Berk and Dr. Marsha Linehan. Postdoctoral fellows may have the opportunity to co-author publications on the topic of suicidal and self-injuring adolescents. The Child and Adolescent Cognitive-Behavioral Treatments sub-area of emphasis provides didactic instruction and supervised training in evidence-based, cognitive-behavioral treatments for youth (ages 5-21). Fellows primarily receive training in treatments for depressive and anxiety disorders. Fellows also receive training in outpatient crisis intervention since many youth presenting with these psychological problems also experience significant crisis episodes. Depending on the youth’s age, developmental level, and presenting problems, modalities may include individual, collateral, and family therapy. Postdoctoral fellows will supervise pre-doctoral trainees in the delivery of child and adolescent CBTs, as well as receive supervision and training in this area. 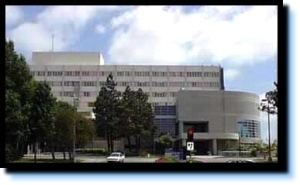 The Foster Care/Adoption sub-area of emphasis involves training at TIES for Families-South Bay, a county mental health clinic located within a mile of the Harbor-UCLA campus. In a private office suite setting, they will be provided with training and experience in the area of foster-care, adoption, family therapy, and infant mental health. The program is affiliated with and based on the UCLA TIES for Adoption model that created community-defined intervention, the TIES Transition Model (TTM) that promotes the successful adoption of foster children ages birth to eighteen when return to their biological parents is not possible. The Foster Care-Adoption (TIES) Fellows interface with a variety of Systems of Care including social services (DCFS), pediatricians, schools, Regional Centers, and courts in the case management aspects of client care. The population served at TIES-South Bay includes high-risk infants, children and adolescents with histories of prenatal substance exposure, neglect and abuse. A key feature of this program is that services are offered as children are transitioned from foster care into adoptive homes, a vulnerable period for families that presents opportunities to promote attachment and prevent problems from escalating. The model includes services prior to adoptive placement, during the transition from foster care to adoption and post adoptive services. Multidisciplinary TIES staff includes psychologists, post-doctoral psychology fellow, clinical social workers, developmental pediatrician, and a child psychiatrist. Services available include: (1) medical consultation, (2) educational consultation and advocacy, (3) developmental, psychological, psychiatric, and temperament assessments, (4) individual/family/narrative therapy, (5) home visits, (6) support and treatment groups for parents and children, (7) infant mental health program that includes dyadic infant/toddler and parent groups, assessment (Bayley Scales of Infant Development), home visitation/consultation and therapy. Knowledge of commonly used psychological tests to assess children’s cognitive, emotional and behavioral functioning. Provide supervision of psychology practicum students who also carry caseloads of 4 or 5 patients. Psychological testing with both infants/toddlers and school-aged children with 3-5 clients over course of the year. Participation and contributions to case conferences, meetings, rounds, etc. Ability to deliver a range of evidence-based and evidence-informed treatments (dependent on the fellow’s selection of sub-area), including: Dialectical Behavior Therapy, Cognitive Behavioral Therapy for Depression and Anxiety Disorders (i.e., Coping Cat), Trauma Focused-CBT, Parent-Child Interaction Therapy, Alternatives For Families CBT, Psychological First Aid, Cognitive Behavioral Play Therapy, TIES Transition Model for Adoptive Families, ADAPT: Adoption Specific Psychotherapy, Child-Parent Psychotherapy, Parent-Child Interaction Therapy, Reflective Parenting, Mindful Parenting. Ability to deliver services in the modalities (i.e., individual, collateral, family, and group) required by the aforementioned treatment manuals. Competent in understanding clinical research and incorporating findings into clinical practice. Completion of a program evaluation project in an area of Child and Adolescent Psychiatry chosen by fellow. Assist faculty in teaching and training in child and adolescent evidence-based treatment models to clinic staff, other DMH staff, and externs. Application of culturally competent practice of Child and Adolescent Psychiatry. Competence in diagnostic evaluation and assessment of children and adolescents. Competence in consulting with the multiple systems the child is embedded in (e.g., school, family, the legal system, Child Protective Services, the foster care system, social services). Competence in the managing the daily activities associated with the practice of Child and Adolescent Psychiatry.